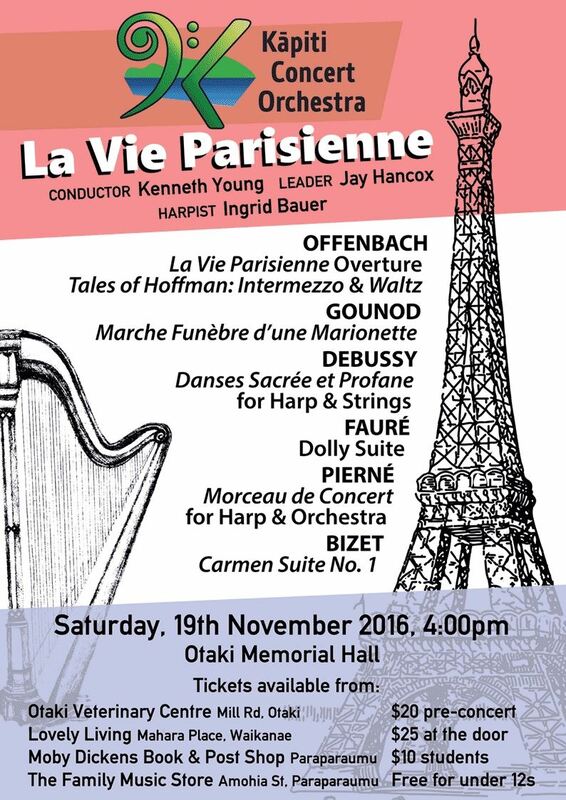 On Saturday Nov 19th at 4pm in the Otaki Memorial Hall, Ingrid Bauer will be the soloist with the Kapiti Concert Orchestra, conducted by Kenneth Young. She is playing two short concerti: Debussy's Danses Sacrée et Profane, and Pierné's Concertstück. Alongside these lovely French solo works, she is also helping out in the orchestra for a number of pieces, including Fauré's Dolly Suite and a suite from Bizet's Carmen. It should be a lovely afternoon with lots of harp music!